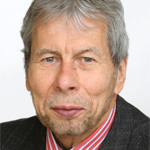 Besides being the Chairman of the Board of Directors of Microfinance Enhancement Facility (MEF), Johannes Feist also serves as Member of the Boards of Finca Microfinance Holding – a global network of 21 MFIs – and Responsability Renewable Energy Holding - a company developing and operating renewable energy systems in Africa. Until autumn 2015 he was Secretary General of the International Development Finance Club (IDFC), an association of 22 development banks from across all continents. He has over 17 years’ experience in financial services and economic development based on a progressive career at KfW, a German development bank. At KfW, he was the Resident Director in Kosovo and Serbia, led KfW’s promotional activities in the EU and managed KfW’s corporate strategy department. Since April 2015, he heads the division for “Financial System Development in Southern Africa and Regional Funds”, therewith being responsible for most of KfW’s equity investments in Africa and cross-continental. Before joining development finance, Johannes served in the German security and defense establishment. 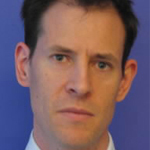 He holds a PhD and a Master Degree in Economics, from Universities of Munich (Germany) and Bordeaux (France). Suzannah Herring Carr is a development finance professional, with over 20 years of experience at International Finance Corporation (IFC), the private sector arm of the World Bank Group. During her tenure at IFC, her primary focus has been investments in the financial sector, including microfinance. Ms. Carr has held varied management positions in front line, risk and corporate roles, including Manager of IFC Global Financial Markets Portfolio, Head of Credit Policy and Pricing, Director of Business Planning and Administration. Since 2015, Ms. Carr has served as IFC’s Chief Information Officer (CIO) where she is responsible for the management and oversight of IFC’s IT landscape. Ms. Carr started her career as a credit analyst and later senior associate with First Fidelity Investment Banking Group (acquired by CMS Corporate Finance) where she provided investment banking and advisory services, including in mergers & acquisition and private placements of debt and equity. 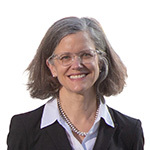 In the mid-1990s, Ms. Carr stepped into development finance with a two-year U.S. Peace Corps volunteer position as business advisor with the Solidarity Labor Union, Warsaw, Poland, providing financial advisory services to union-represented companies. Ms. Carr holds an A.B. degree in Economics from Duke University (Durham, NC, USA). 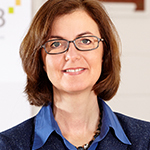 Ms. Hagmann is Member of the Executive Board of the OeEB, the Development Bank of Austria. Before, she used to work for the Austrian´s Export credit agency Oesterreichische Kontrollbank in various positions. She graduated from Vienna University of Economics and Business Adminstration. Ms. Hagmann has been involved in the promotion of the topic "private sector development in developing countries" in Austria for many years and played an active part in the set up of frameworks and the establishment of the Development Bank of Austria. The Bank entered the market in March 2008 and has been a member of EDFI (European Development Finance Institutions) since then. Swapnil Kant Neeraj has more than 25 years of experience as a development banker with investments in private equity and debt across Asia. He is presently based in Singapore as a Principal Investment Officer & Microfinance Lead for Asia with the International Finance Corporation (IFC, the private sector arm of the World Bank Group). 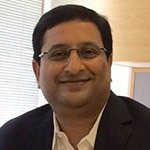 Mr. Neeraj has led several landmark transactions with financial inclusion at the core and brings decades of experience in microfinance as well as microenterprise and SME finance. Relatedly, he has also led several Technical Assistance Projects on sectoral issues or for client institutions. Mr. Neeraj is a British Council Scholar and holds an MBA (Finance; Indira Gandhi National University, India), a B.Sc. (Honours, in Physics & Chemistry; Patna University, India), and post-graduate diplomas from the Indian Institute of Management, Lucknow, India; University of Wales, United Kingdom; and Darden Business School, University of Virginia, USA. He is a Chartered Associate of the Indian Institute of Bankers (CAIIB). 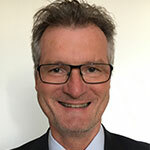 Ihno Baumfalk, member of the MEF Board of Directors since 2018, combines 25 years of international commercial and financial experience with a particular focus on development finance and structured finance. Ihno dedicated much of his professional life to asset and corporate finance. He served as Head of Financial Engineering Teams for the German branches of Chase Manhattan Bank and Crédit Agricole CIB before joining the structured finance division of Germany’s promotional bank KfW in 2008. He subsequently relocated to the South Africa office of KfW’s development finance division with responsibility for the energy and climate portfolio. Since 2016 Ihno specializes in financial systems development within KfW’s Southern Africa division where he represents KfW’s shareholder interests in various impact investment funds and engages in bi-lateral financial inclusion programs, focusing on SME and micro-finance. Ihno is also a member of the board of directors of reponsAbility Participations AG, a Swiss-based equity fund specialized in investing in SMEs and in financial sector institutions in developing countries across the globe. Having studied European Business Administration in France and Germany, Ihno graduated from the European School of Business in Reutlingen/Germany and holds the Diplôme d'Etudes Supérieures Européennes de Management from Ecole Supérieure de Commerce in Reims/France. Angus Macrae heads up the Equity and Microfinance division at the European Investment Bank. Over the last six years he has been responsible for equity investments in and loans to numerous banks, funds and microfinance institutions in the MENA region and in Sub-Saharan Africa. Mr Macrae started his career with Linklaters in London before moving to Luxembourg and spending 10 years in infrastructure finance, working across asset classes in the European PPP markets. 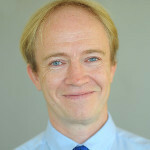 Mr Macrae holds a degree in modern languages from Oxford University, an MBA from CASS Business School and is a qualified solicitor. He previously headed the Competence Center for Financial Sector Promotion at KfW Entwicklungsbank, until retiring from KfW in October 2009. His other responsibilities there included that of Division Chief Eastern Europe (Sector and Policy Division for Private Development and Finance). Dr. Glaubitt has a vast international expertise in driving value in socially and financially responsible banks. He has acquired in-depth knowledge and experience as to structured microfinance funds in the form of public private partnerships in pursuit of risk-sharing and efficient social and economic impact. He has an intimate know how about small and medium enterprise finance. He is the author of several books and essays on development economics. At present he is member of the Board of Directors of two banks in Eastern Europe and one in Africa. Furthermore, he is chairing the advisory group of a regional fund and is a member of the shareholders advisory committee of an inclusive finance equity fund. 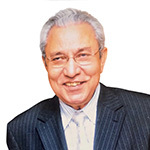 Syed Aftab Ahmed worked with the International Finance Corporation (IFC) in various capacities, from August 1989 till his retirement in December 2006. The last position he held at IFC was that of Senior Manager, in charge of implementing IFC's global Microfinance Strategy and investment programme. Since his retirement, IFC has nominated him on the Board of Directors and the investment committees of some of its portfolio banks and financial institutions.At present, Mr Ahmed is a member of the board of directors of the Access Bank Azerbaijan, the European Fund for Southeast Europe (EFSE), Luxembourg, and the Green for Growth Fund (GGF), Luxembourg. Mr. Ahmed is also a member of the Investment Committee of the EFSE and of the Microfinance Enhancement Facility (MEF), Luxembourg. 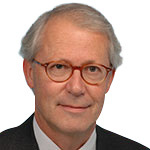 Karlo de Waal has more than 30 years of experience in development finance. He started his career with the UN in Zambia and Mexico, and then joined the Netherlands Development Finance Company (FMO) in 1977. 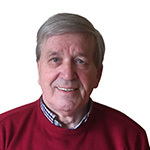 Until his retirement in 2006 he was active worldwide in financial assistance to private corporate businesses as well as financial institutions, serving a.o. as Regional Manager for Latin America & the Caribbean, and Regional Manager for Eastern Europe & Central Asia. Since his retirement in 2006 he has been on the boards and investment committees of several financial institutions. Michael Neumayr started his career in international commercial banking with major Austrian banks in 1982. From 2002 until 2008 he was Executive Director and Member of the Board of Directors at the European Bank for Reconstruction and Development (EBRD) in London, representing Austria and five other shareholder countries. Since 2008, he is an independent business advisor and member of supervisory boards and investment committees of several financial institutions (including the Microfinance sector).